*New Bookings only. Terms and conditions apply. Birchington Vale is a relaxing holiday park set in 100 acres of Kent countryside. 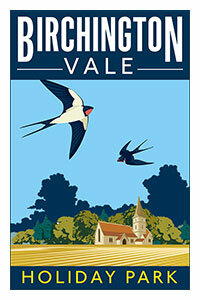 Interested in visiting Birchington Vale Holiday Park to find out more? If you're not ready to visit maybe you'd prefer a brochure? Lively entertainment the whole family will love! Boasting miles of golden sandy beaches and close to the popular seaside resorts such as Margate and Westgate on Sea, Birchington Vale is a premium location for your family holiday break. Birchington Vale is close to the village of Birchington, alongside four picturesque sandy bays, all easily accessed and providing great watersport opportunities for sailing and windsurfing. Other local attractions include Howletts Wild Animal Park (with the largest group of gorillas in human care in the world), Deal Castle, The South Foreland Lighthouse or slightly further afield (16 miles from the park) the majestic White Cliffs of Dover. There's been exciting developments at Birchington Vale over the last few years with a new Clubhouse and an Indoor Pool with Flume recently added to the great facilities available to our holiday guests. For a touch of extra comfort why not explore our luxury lodges range? The ultimate in Park Holidays UK accommodation, our range of prime location lodges offer innovative roomy design and luxurious fixtures and fittings, perfect for holiday living. So why not visit Birchington Vale for the ultimate Kent Holiday this summer? So much to see and do! With plenty to do both on and off the park, you will never be bored! Enjoy a great choice of facilities, on park entertainment, great days out and local events for the whole family. There is so much to do; you won't ever want to leave! As well as our fantastic location in the beautiful Kent countryside, you can also enjoy our club house and diner serving snacks and beverages throughout the day whilst enjoying the latest sporting events on Sky and BT Sports. Time to get out and about! All of our holiday parks are situated within fantastic areas of local culture just waiting to be explored. With many local attractions offering exclusive deals for Park Holidays UK guests, you’ll find plenty of purse-friendly days out to keep everyone happy. From newborns to 14 year olds, Loopy and his friends are on hand to organise fun and games in a child-safe environment. Our big link-up competition gives you the chance to play against guests at other parks for big cash prizes! Our big stage production shows are very popular with guests of all ages. Shows include West End Musicals, tribute acts, and celebrations of classic eras! There's hours of fun for all of the family in the Game Zone. Impress your friends with combat skills, how well you drive and your excellent general knowledge. You'll be pleased to know our entertainment venues offer a full Sky Sports and BT Sports package, so you can enjoy your stay without missing a single goal, point or putt. Unleash your creativity with arts and crafts! Choose a piece of pottery to decorate, finish it off with a glaze and take home as the perfect holiday memento. Please note Pottery is only available on this park at selected dates/times and may incur an additional charge. Fancy yourself as the next Robin Hood? The target is a row of balls that hover over jets of air. Played with foam-tipped arrows, this activity is perfect for all ages. Please note Hover Archery is only available on this park at selected dates/times and may incur an additional charge. A destination venue for days out in Kent which is made up of many visitor attractions. A large indoor play centre aimed at children aged 1-12 years. 90 acre wild animal park, containing the world's largest group of gorillas in human care. Experience stunning scenery whilst you explore a beautiful river just outside Canterbury. The Mother Church of the worldwide Anglican Communion and seat of the Archbishop of Canterbury. Discover some of Canterbury's finest architecture set against outstanding views of natural scenery. Discover the haunting charm of this medieval city as your guide takes you through the dark streets. 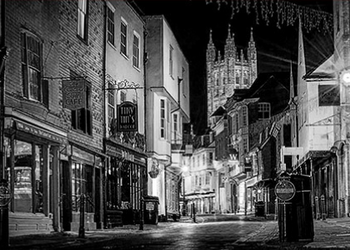 A grisly tour that promises to reveal a chilling side of Canterbury soaked in scary secrets. More high grade accommodation to choose from. Additional Luxury Lodges for the dedicated use of our holiday guests have been added to the park in 2019. The very best in our accommodation range, luxury lodges typically offer around 800sq ft of comfortable living space, and are often located on prime locations. Our modern holiday Luxury Lodges are designed by teams of experienced craftsmen, with a spacious design and luxurious fixtures and fittings; perfect for any holiday visit. "Search Holidays" as normal and tick the "Lodges" box to find your desired accommodation or find out more about our Luxury Lodges here. A unique way to holiday in 2019. Why not try something a little different this year by mixing a small dose of luxury with a traditional outdoor adventure? Our cosy Camping Pods sleep up to 4 (maximum 2 adults), are fully insulated (double-glazed doors & windows) with heating and have interior/exterior lighting and plug/USB sockets. They include a double bed and bunk beds, a wall heater and a small dining table. Guests have full use of the dedicated touring facilities around the park, and the door is lockable for added peace of mind. An increasingly popular way to visit, Camping Pods are perfect for families, and an unforgettable holiday experience. Search "Touring" to find Camping Pod availability or click here to find out more. † Please note that during busier periods the park may operate a booking system for pool use. † Please note entertainment and What’s On facilities for 2019 may differ from that listed above. *Additional charges apply. 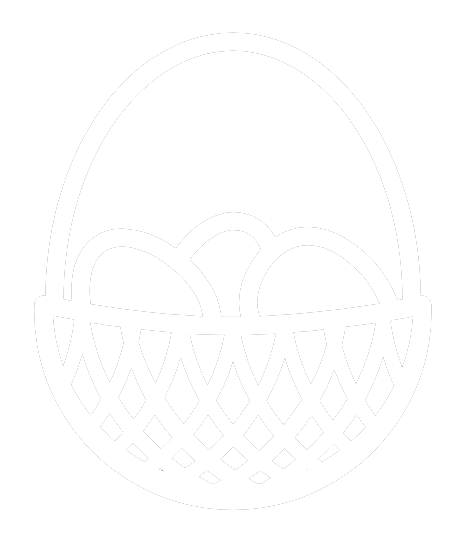 We've got some egg-cellent deals on offer, so why not treat the kids (and the grown-ups too) to a fun-fuelled holiday? We all love a Bank Holiday - make the most of it with a fantastic value holiday! A tasty holiday offer on selected 2019 midweek breaks. An exciting new way to holiday with us - book a mini-break now. A phone only offer. Are you thinking about buying a holiday home? In the event of winning, where would you like your holiday home to be located? Book your visit now and claim your £500 discount voucher to use if you decide to purchase any of our holiday homes *. If you're not quite ready for a visit, why not request a brochure? The winner will be drawn in December 2018. A holiday home advisor will be in touch shortly to discuss your holiday home requirements and assist with your search.